Commercial cover with postmark of Klaksvík over the 280 øre stamp of the 1985’s issue ‘Faroe landscapes’ sent on October, 29 1985. 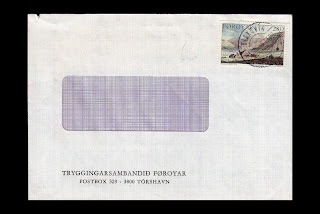 280 øre it was the postal rate in use since 01-01-1984, to the inland or Scandinavia letter A class (weight until 20g). 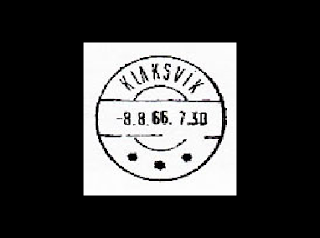 Postmark started to be used in 01-VI-1962 and abandoned in 30-VI-1988.